Every year Tea employees receive a dividend from Tea to use towards international travel. On Studio T we’ll be sharing travel stories of our employees as they travel around the world. This post is by Eva, who traveled to Australia with her family. You can’t miss the marsupials, birds, reptiles, insects, and aboriginal art when you go to Australia. The country’s ecosystem supports a wide variety of wildlife, and Eva committed herself to photographing as many animals as she could on her vacation. Most of these photos were taken at the Wild Life Park on the Gold Coast, which is located on the Eastern side of the continent. I need to sleep, please be quiet! Guess how many colors are on me? It's too high for me to jump! I can eat tons of fish. Wake up. Uncle crocodile is here. Eva's son Simon, wrapped up in a very real-looking snake! We love sharing our travel stories with you. Learn more about our journeys by reading about Ana and Nuala’s recent vacations. Interested in sharing your travel stories with us? Learn about becoming a Foreign Correspondent. 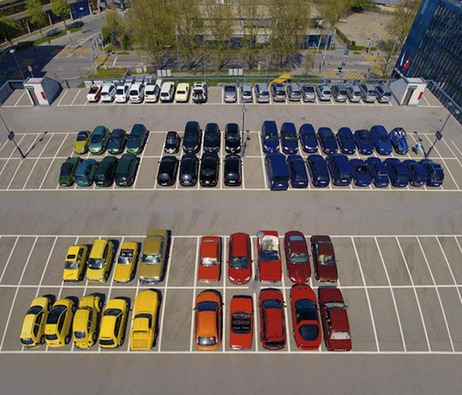 It’s no secret that the inner obsessive-compulsive in me loves order (as evidenced by our previous post on Things Organized Neatly). 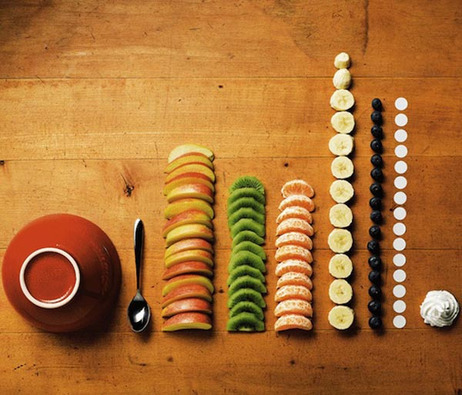 My latest obsessions are created by Ursus Wehrli. More images can be found at NPR here. Our second Foreign Correspondent has returned from her travels! Stacy, her husband, and her two children traveled to Istanbul and Jerusalem this summer. We outfitted them with a suitcase full of Tea before they left, asking them to share their adventures with us upon their return. Below is the final part 5 of their adventure. The best part of our trip is being reunited with our family and friends. Of course, my husband was born and raised in Jerusalem, so his ties run deep. And I worked in Gaza and the West Bank and lived Ramallah for several years, so it’s a bit of a coming home for me too. When we visit now, because they are older, our kids can play with their new cousins (more and more every year) and our friends’ kids. It’s fun to watch their friendships deepen each year. It’s also a great opportunity for them to work on their Arabic. There is so much joy as we travel and spend time with our family. But there are difficulties. I would be remiss to not mention them too. One of the more difficult aspects of our trip is now that our son is seven, he is aware of the situation around us. He can’t help but notice the deteriorating political conditions and occupation surrounding him. It’s difficult to explain to him why we are pulled to the side at the airport for exhaustive questioning, why soldiers took his cousins – the bride and groom in full wedding attire – to a police station on the way to their own wedding, why there is a 25 foot high wall separating long standing Palestinian neighborhoods in half and long detours to get to a checkpoint to wait in line to be allowed to cross through. And then he asks why we can cross through the wall but so many of our friends and family cannot (we can because of our US passports but some of our friends and family cannot because they hold West Bank IDs which does not allow crossing from one side of the wall to the other). It’s difficult for an adult to comprehend this, but it is impossible for the children. Police holdup on the way to the wedding. One evening, we were driving, and we heard the adhan, or Muslim call to prayer, over a loudspeaker. It’s beautiful and haunting at the same time. Our son asked about it, and I explained that many people say a prayer when they hear this call each day. He asked what they pray for. I sat kind of bewildered, trying to think of something to say and, before I had a chance, he answered his own question, “Maybe they’re praying for freedom and justice and friendship.” I think he’s exactly right. It’s interesting and sad (and inevitable) to see the time your child first becomes aware that not everyone lives a carefree life. This is true for many, many people wherever you live, of course. But for him to not just see but to also feel such glaring disparity and question it at such a young age makes me sad for him because a piece of his innocence is lost, but proud too because he is an aware and sensitive and thinking person. Our hope for tomorrow is a more just and livable life for the entire region. It will take leadership and bold steps and pragmatism which has been sorely lacking for decades. In the meantime, we will savor our lasting memories of the good times had, the love of our family, and the eager anticipation of next summer’s adventures. Our Foreign Correspondent program is ongoing. If you’re interested in sharing your family’s international adventures with us you can find out more here. Our second Foreign Correspondent has returned from her travels! Stacy, her husband, and her two children traveled to Istanbul and Jerusalem this summer. We outfitted them with a suitcase full of Tea before they left, asking them to share their adventures with us upon their return. Below is part 4 of their adventure. To say that we ate well while vacationing this summer would be a gross understatement. What can I say? The food was amazing. My husband waits all year in great anticipation to return home and eat his mother’s cooking. Maklouba – “upside down” rice with veggies (cauliflower, carrots or, my personal favorite, EGGPLANT) and chicken or meat. After a number of steps (! ), the ingredients are cooked in one pot, allowed to cool, then flipped over onto a serving platter and garnished with toasted pine nuts. Served with plain yogurt on top. 2. Waraq Dawali – stuffed grape leaves. This meal is a true labor of love. It’s not that it’s particularly complicated, but it is incredibly time consuming to make. Small bits of lamb meat and rice are placed on a grape leaf, rolled up tightly and then cooked in tomato juice stovetop. We prefer to eat this only in Jerusalem with either my husband’s mom or one of his aunts preparing it because, for some reason, the grape leaves just never seem to taste quite as delicious at a restaurant here. Mujaderra – rice, lentils, caramelized onions, cumin, and cinnamon. This is a very, very popular vegetarian dish. It’s more often made in the chilly winter months, but my husband and the kids can eat this for breakfast, lunch or dinner twelve months a year. They absolutely love it. We had a number of incredible meals throughout our trip – In Istanbul, lamb and tomatoes served over taboon-baked bread and yogurt and a sandwich/wrap called doner (usually lamb or chicken cooked on a vertical spit and sliced off to order). In Jerusalem, we enjoyed going out for meshawwi, or barbeque. Favorites are ground meat mixed with onions and parsley skewered , cubed chicken marinated in lemon, olive oil and garlic and then skewered, lamb chops, and fresh tomatoes, onions, and peppers. One night, we sat under a Bedouin tent in a lovely garden, sipping tea, eating a wonderful barbeque meal with my husband’s parents, two of his brothers and their families, and our kids. The kids ran around and we just ate and ate. It was such a perfect night. Our second Foreign Correspondent has returned from her travels! Stacy, her husband, and her two children traveled to Istanbul and Jerusalem this summer. We outfitted them with a suitcase full of Tea before they left, asking them to share their adventures with us upon their return. Below is part 3 of their adventure. After a quick flight, we arrived in Jerusalem to reunite with my husband’s family and friends. We had some excitement in that within the first three hours of arrival, we ended up in the ER. Our daughter was beyond overexcited and while playing broke her wrist. She had a cast on for the first eight days of the Jerusalem leg of the trip. One of our favorite things to do in Jerusalem is to visit the Old City. This is the walled in city within a much larger city. I don’t think I can describe how special, how spectacular the Old City is. The view is breathtaking from nearly every corner of the city. It’s home to many very holy places for Muslims, Christians, and Jews, and people from all over the world travel here to pray, tour, and experience. It’s divided into four uneven quarters – Jewish, Muslim, Christian, and Armenian. Tens of thousands of people live, work, go to school, and play inside the walls of Jerusalem and, for the most part, things are fairly separate in that the Armenians live in the Armenian Quarter, the Christian Palestinians live in the Christian Quarter, etc. One can travel freely (for the most part) between the quarters, but there is a demarcation which is always interesting to observe from a tourist’s perspective. Over the years, my husband and I have traveled up and down the winding alleys of each quarter – together and separately – my husband first as a child and me initially as a college student. Since the kids were born, however, our plans have been, shall we say, less ambitious. We want to show them the Old City, have them love the Old City and, eventually, be able to wander throughout the Old City. But for this trip, we kept it short and simple and entered through Bab al-Khalil (Jaffa Gate) and walked through just a few alleyways for some conversing, shopping, snacking, and observing. We bought some beautiful traditional Palestinian pottery pieces for our house and some gifts for friends and family. We’ve been collecting it for years. The pottery is made and hand painted in the West Bank town of Hebron. The colors are bright, the patterns are cheerful, and it makes a lovely table setting. We also stopped by a terrific place where we bought a side table years and years ago. The little shop sells furniture, chess tables, dressers, mirrors, chairs – all beautifully handcrafted in Syria from walnut with mother of pearl inlay. Our son sat right down and started playing with the chess boards. We picked up some pieces for him, and I have my eye on a stunning table/chess board that we will need to save for many, many years before we’re ready to bring that piece home with us. Our second Foreign Correspondent has returned from her travels! Stacy, her husband, and her two children traveled to Istanbul and Jerusalem this summer. We outfitted them with a suitcase full of Tea before they left, asking them to share their adventures with us upon their return. Below is part 2 of their adventure. We set an ambitious itinerary for the last full day in Istanbul before traveling to Jerusalem. It included the Topkapi Palace, the Hagia Sophia, the Blue Mosque, the Basilica Cistern, and the Grand Bazaar. We started at the Topkapi Palace and, I’ll be honest, I could have stayed there all day long but the kids burned out after the third hour. Basically, the Ottomans ruled the entire Empire from here for hundreds and hundreds of years. It was their cultural and political center – there’s a library, the treasury, a concubines courtyard, a kitchen that fed thousands of janissaries and soldiers, mosques, reading rooms just to name a few of the highlights in the sprawling compound. All of this plus incredibly ornate and intricate architecture and sweeping views of the water that can be seen from throughout the walled compound. Unfortunately for us, the lines to enter the Hagia Sophia were just too long. We kept moving a short distance to the Basilica Cistern. Other than knowing that it is the largest of several hundred underground water systems in Istanbul, we had little idea what to expect. As it turns out, the kids loved it. First off, it’s dark, lit by candles and about 20 degrees cooler than above ground. It was built in the 6th century during the Byzantine Empire to supply water to the palace complex nearby. In fact, the water level is not very deep these days, but it is deep enough to house many fish which swim around and add to the atmosphere and the kids’ happiness. We continued on to the Blue Mosque (Sultan Ahmed Mosque) which is truly a magnificent sight to behold – up close and throughout the city. We sat inside the courtyard and took in the beautiful prayer tiles written in Arabic calligraphy, the stained glass, minarets. Another cool and really helpful thing we noticed were tons of high school aged kids in blue shirts with something like, “can I help you?”, written on them. We saw them all over the tourist spots and eventually, I asked them what’s up. As it turns out, they are volunteers for the Istanbul municipality, tasked with helping tourists maneuver the city’s intricacies while receiving school credit and practicing their English. Such a clever idea, and they really were very helpful. Our second Foreign Correspondent is here! Stacy, her husband, and her two children traveled to Istanbul and Jerusalem this summer. We outfitted them with a suitcase full of Tea before they left, asking them to share their adventures with us upon their return. Below is the first part of their adventure. We were thrilled to be heading to Istanbul for a few days before our (nearly) annual voyage to see my husband’s family in Jerusalem. Istanbul is an absolutely stunning city. Its history is rich – it’s been the capital of one empire after another for 1600 years – Roman, Byzantine, and Ottoman. The first thing we noticed in Istanbul was that there is literally water everywhere you look. The original parts of the city are on a peninsula surrounded by the Sea of Marmara, the Bosphorus Sea and its arm called the Golden Horn. The Bosphorus splits Istanbul between two continents, Europe and Asia. We stayed on the more historic European side, but our views were mainly of the very lovely and green Asian side of the city. We had a picture perfect day to take a cruise on the Bosphorus. The stand outs for me were the fortresses scattered on the European and Asian shorelines. It was interesting to think of the role the Bosphorus has played throughout history, including World Wars I and II, and then see the fortresses the different empires built at one point or another in a effort to protect their interests and sovereignty. One impressive structure, the Rumeli Hisari or European Fortress, was built in the mid-1400s in just 4 months and stands to this day as a museum. The architecture along the Bosphorus stood out as well. The homes and palaces lining the waterway are a mixture of old seaside mansions and modern residences or second homes. Some are made of marble and some wood.